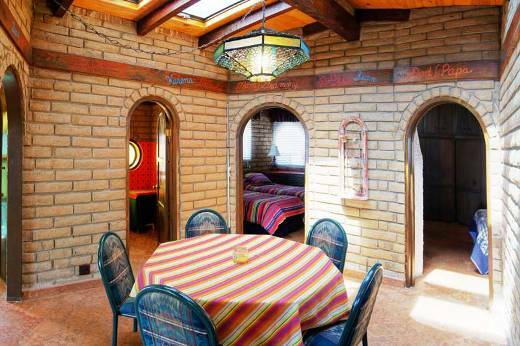 Perfect for two couples or a family of four! 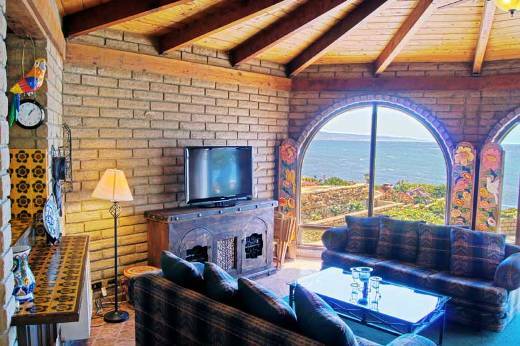 This ocean front home in Las Gaviotas, near Rosarito Beach, Mexico sits only a few feet from the crashing waves!! 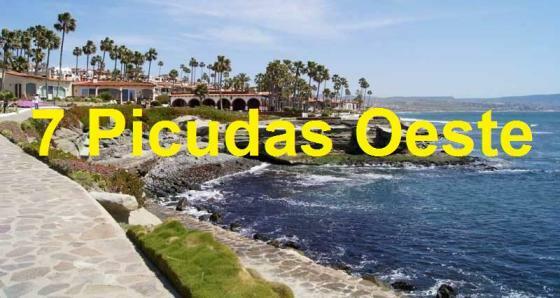 This wonderful oceanfront 2 bedroom 2 bath beach house is located close to the pool and Jacuzzi in beautiful Las Gaviotas. 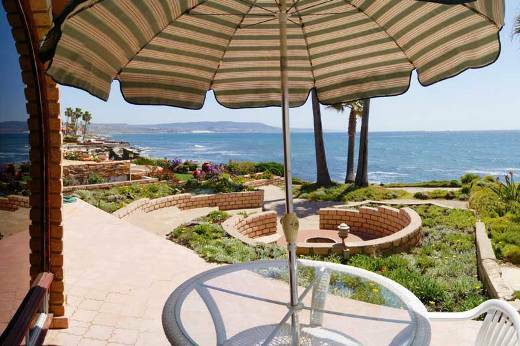 The breathtaking views of the ocean make this a perfect place for a relaxing vacation. 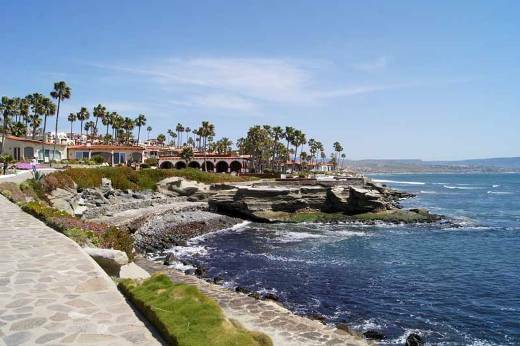 Experience sunsets, whale and dolphin sightings right off your large patio. 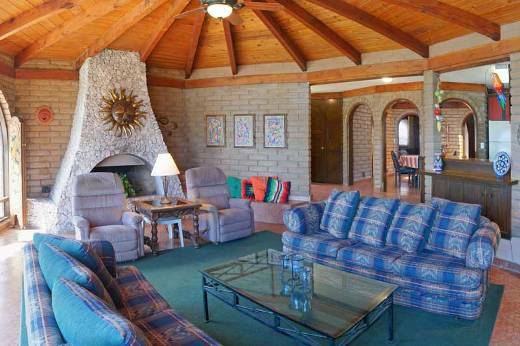 The living room is large and open and includes a white stone fireplace. 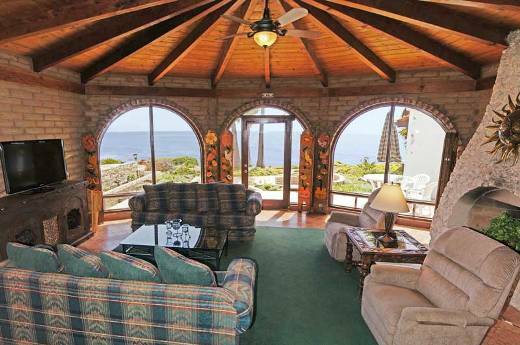 The wide panoramic view windows in the living room open up to offer you unsurpassed views and sunsets. 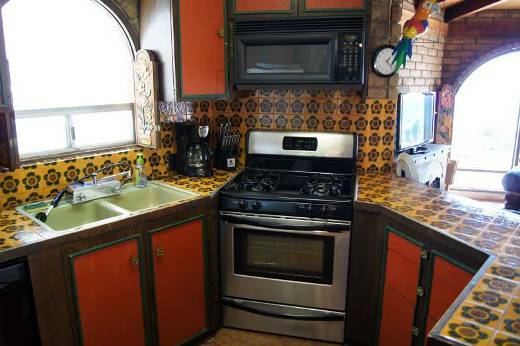 The fully equipped kitchen has a microwave, gas stove, fridge, coffee-pot & everything you’ll need. 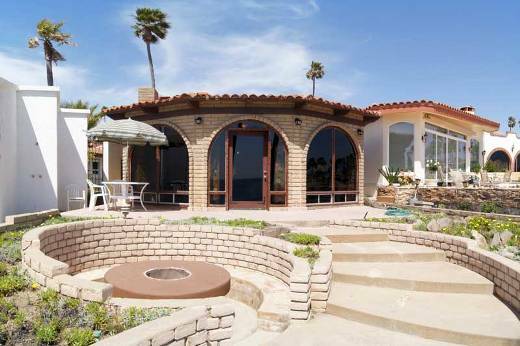 The large patio features not only spectacular views but a custom built wood-burning fire pit for barbecues and romantic outdoor moments.With ocean views from north to south, this home is the ideal place for a true ocean view lover.See and hear the waves crash right from the living room, patio or even the kitchen. 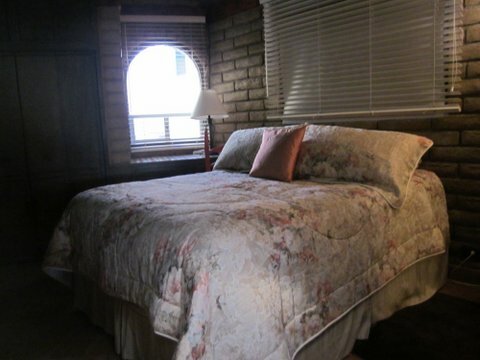 The master bedroom features floor to ceiling closets and a fireplace. 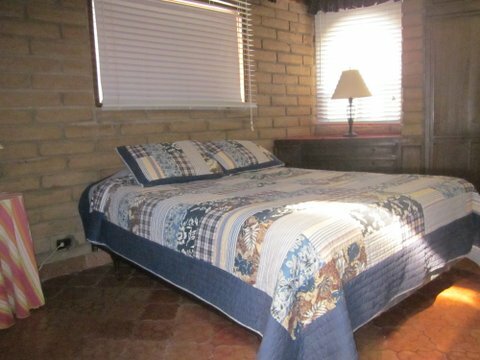 The second bedroom also has large closets. 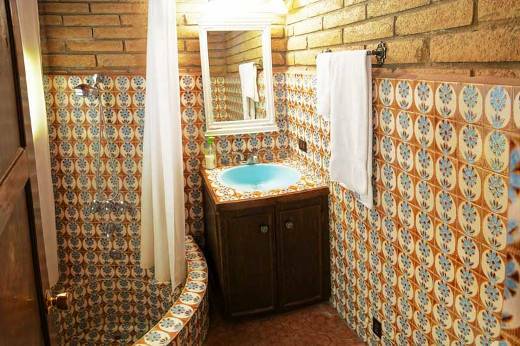 Each bedroom has its own private access to their respective bathroom. 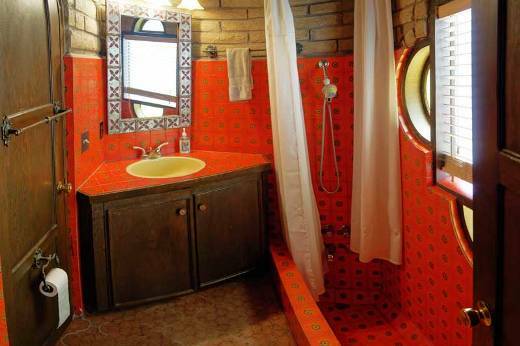 Both bathrooms are decorated with Mexican tile. 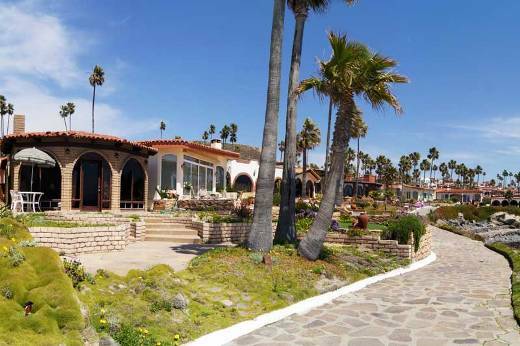 $250 per a night, plus a one-time cleaning fee of $50. 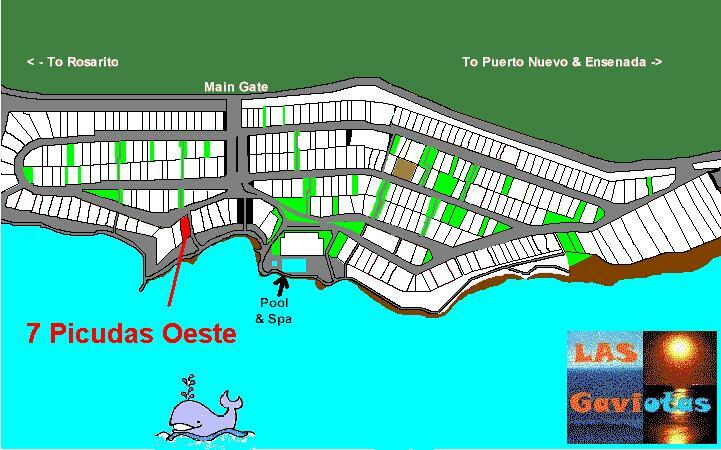 A refundable security deposit of $200 is required for 7 picudas Oeste. The Security Deposit will be returned after we check there are no fines or damages. TO MAKE RESERVATION: Just fill out this short form.